Jane Eyre. Eine Autobiographie. Roman. "Wuthering Heights" seems bafflingly unlike other novels yet constantly speaks to popular imagination. This edition for students and teachers engages with some of the key issues in contemporary critical theory. About Emily Bronte (Author) : Emily Bronte was a published author and a compiler of children's books and young adult books. Some of the published credits of Emily Bronte include Wuthering Heights, Wuthering Heights. 12/29/2009 Regina Legaspi said: I have been intrigued by this book since the first time I heard Kate Bush sing "Wuthering Heights" years ago. On my birthday in June my friend bought me this book. 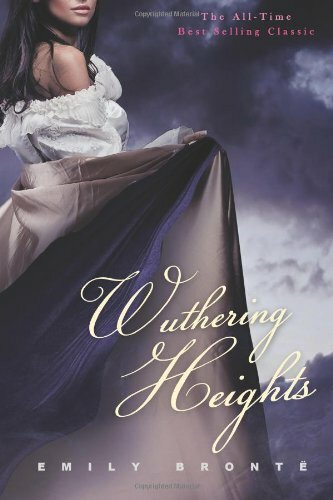 Finally, I am going to attempt to read "Wuthering Hieghts". I have just started. 11/10/2009 Abbi Glines said: After reading Twilight, I found myself picking this up after only reading it once in school for a grade....I found it was something I appreciated as an adult much more so than when I was just a kid.